A fun way of creating some zigzag into your daily jewellery. I have made it with a few beads added on. It will be wider than the pattern ask for to add on some lengths for a more dramatic bigger look it will then also fit wider writs. 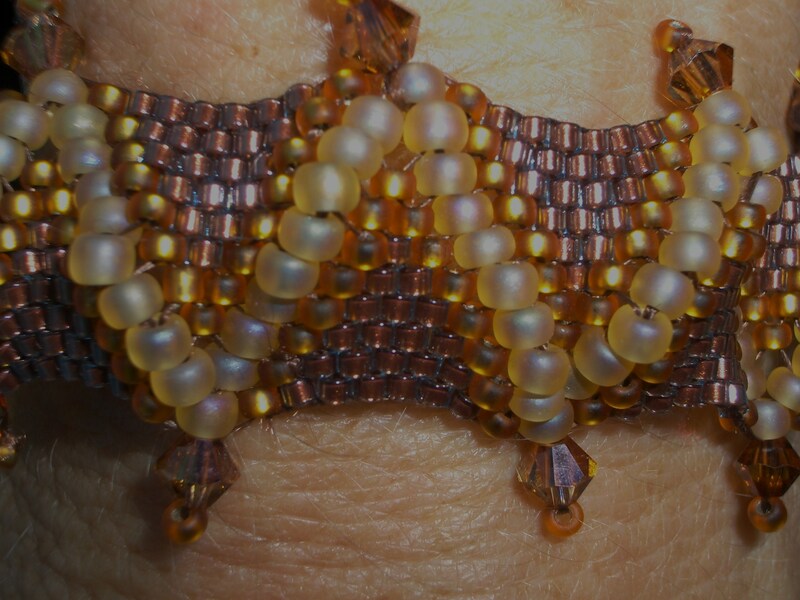 At the same time string on less beads and the same Bracelet will become less wide and shorter for a smaller writs. 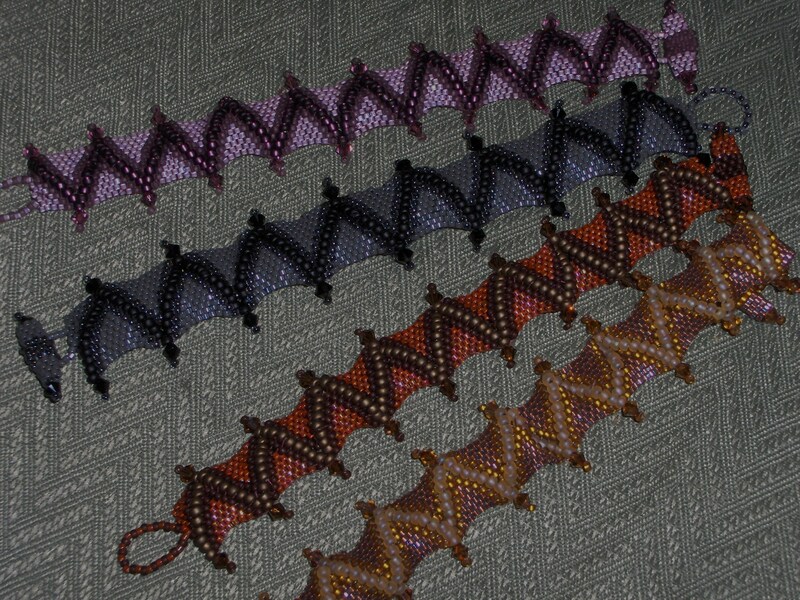 The Zigzag will work out to a finished look for you to add on the clasp. This pattern is available at “That Bead Lady”.